​OK…I will tell you up front, if you haven’t listened to Part 1 of this interview with Col. Billie Woodard, I highly advise you to do so because in Part 2 we are going to hit the ground running. We left off in Part 1 with Col. Woodard telling us how he was brought to the surface from inner earth with his sister. 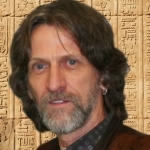 He also touched on Admiral Byrd and his expedition to the hollow earth and the message he was given to bring back to the government. We live in strange times so even though a lot of what we hear sounds…well, strange, we need to keep in mind that ‘truth’ is sometimes much stranger than fiction. I can say this from my own personal experience, most of the conspiracy information I’ve heard over the past 40 plus years has ended up being true; so when I hear something that seems too far out there to be true, I never discount it prematurely. 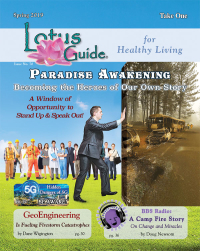 Thanks again for listening and remember also that I publish a magazine called the Lotus Guide, which can be read online at http://lotusguide.com/ and while you’re reading, be sure to read my article on Artificial Intelligence…you will be surprised what’s happening under the radar of most people on this planet.